Obituary for Anna Marvene Mitchell | House of Wheat Funeral Home, Inc.
MITCHELL, Anna Marvene, born November 8, 1937 in Dayton, Ohio, departed this life Wednesday, September 5, 2018. Anna was one of the Co-Founders of the Nightingales Social Club in grade school. This club was established at the former Summit St. YMCA to encourage adolescent young ladies to get involved in positive social activities within the community. This sisterhood club continued well beyond high school and into their adult lives. 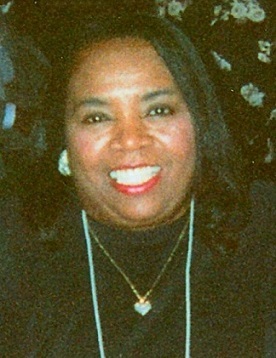 Anna graduated from Roosevelt High School in 1956. She was employed by McCall’s Publishing Company for over 20 years. She also worked as a Clerical Supervisor for over 23 years with Payco General American Credits in Dayton, Ohio. In this position, Anna was instrumental in mentoring high school girls and assisting them in pursuing clerical careers. She was a member of St. Luke Missionary Baptist Church and was actively involved in the Seasoned Sisters Organization at the church. Anna was a loving and devoted wife, mother, grandmother, great grandmother, sister and friend. Preceded in death by her devoted husband of 54 years, C.V Mitchell, Jr; son, Terry Glenn Mitchell; parents, William F. and Martha E. Welch; twin sister and brother-in-law, Annette and McNeal Stewart; brother, William Welch. She leaves to cherish and celebrate her legacy her children, Teresa (Joe) Watkins, Sherry Lynn (Tony) Branch, Marvene A. Mitchell, C.V. Mitchell III, and William Mitchell; grandchildren, Latrice Watkins, Joe “Trey” Watkins III, Brianna Mitchell, C.V. Mitchell IV, and Nia Mitchell; great grandchild, Londyn Partman; devoted caregiver and sister-in-law, Felice Welch; loving cousins, David (Ella) Carman; beloved Mitchell brothers and sisters, John (Emma), David, James (Shelly), Curtis, Pansy Ella (Michael), Virginia; a host of nieces, nephews, cousins, and other loving relatives and friends. Funeral service will be held 12 noon Thursday, September 13, 2018 at St. Luke M. B. Church, 2262 N. Gettysburg Ave. Visitation 10 am-12 pm. Family will receive friends 11 am-12 pm. Interment Woodland Cemetery. Arrangements entrusted to House of Wheat Funeral Home, Inc.